Bibb Seat Wrenches or Seat Tools, as we call them, are important helpers for removing the seat from within the body of the faucet or valve. The seat is the heart of the faucet and when changed can add years of life to any faucet valve. Find heavy duty bonnet wrenches for faucets, plumbing and heating valves. We carry kits and individual wrenches to help get your plumbing task done properly. Copper Cleaning Tools and Brushes for all sizes of copper tubing. We carry professional grade flaring tools for all size copper pipe. From lightweight to heavy duty copper flaring jobs, we have the proper tool you need to get the job done. Plumbers love our plumbing gauges for aerators, seats and stem broaches. Keep an aerator gauge on your truck for easy reference on your next plumbing repair job. Never get stumped by odd aerator or seat threads, our gauges get you matched up fast. 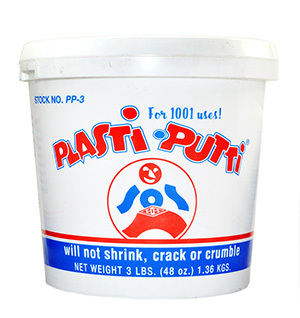 Plumbers Putty, Teflon Tape, Dope and Sealant for all jobs that require them. Our Teflon tape and pipe dope is great to keep on the truck for any repair job. Get your plumbing job done quickly with the help of our hand tools including screw drivers, pliers, wrenches, allen keys and more. Handle Pullers for faucets and shower valves make it easy to remove stiff bound handles that just won't come off. After the years, different alloys and metal combination from the handle cause binding and difficult removal. Find wrenches for garbage disposals, toilet spuds, sink strainers, angle valves, radiators and just about every purpose you'll ever need a wrench for. Shop for Pliers made by Channel Locks and other brands. We carry an assortment of pliers from needle nose to bull nose. Our Specialty Tools page has custom made tools designed to work with particular faucets, showers and valves. Find tools to help fix your Moen, Delta or Crane faucet. We have all the right plumbing tools you need here. Strap Wrenches allow you to take off pipe and bonnets with ease and without the worry of scratching. SOS Products EP-4 Epoxy Putty Stick for 1001 Uses!